There are different types of CRM software for call center business. It is a popular belief in the IT industry that CRM is used to collect and organize actionable customer data. But there are many other things that quality Customer Relationship Management (CRM) software can perform. In any kind of business, the consumer always remains at the top. No business can prosper without a solid customer base. 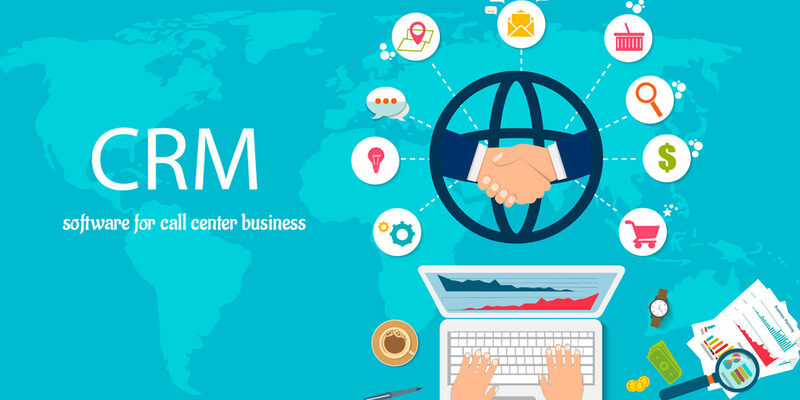 In this article, we will discuss five crucial advantages of CRM software for call center business. it is an important thing for you to organize your business well. In the call center business, you will encounter thousands of customers’ every day with different requirements. The more you know about your customers, the more it will become easier for you to provide the appropriate solutions. CRM software will allow you to store a vast data of your clients and important information regarding them. You don’t need to worry about losing any of your clients’ data. All the data of your customers will be arranged in a proper way to help your agents give the right information to your callers. Communication is the crucial part in call center business. If you communicate well with your consumers, they will come to buy your products. If your agents don’t get the relevant information about your callers, they will not be able to solve their issues. CRM keeps the relevant information about your customers. CRM makes it possible for your agents to go through the previous records of your customers. Due to the mobile compatibility of CRM software, it let you access your data remotely. Customer service is important in the call center industry. Your time is valuable, but so is your customers’ time. And, should your customers experience a problem that needs resolution, they’re going to be unhappy unless that problem can be taken care of quickly. Customer service is essential in the call center industry. Your time is significant, yet so is your clients’ time. Your customers need their issues to be solved. They can easily become irritated if every time a fresh agent asks them about their problems. It’s CRM that allows call centers provide quality customer service through improving their customer service. The revenue in call centers depends on the quality of the calls of that call center. If you have your own call center, your revenue depends on how many leads you convert. It means you need to pull your target audience through your call center to buy your products or services. Once your agents start using the CRM software for call center business, the productivity of your company will increase. With more leads and happy customers, you can easily become a market leader in a specific niche. When you deploy CRM software for call center, the additional cost of extra hardware installation will be zero. At first, it may seem expensive, but gradually it will outweigh the burden of costs on your business. With cloud-based Customer relationship management software, you will be able to access your data any time at any place. In case of any cyber attacks, your data will be protected in the cloud. This will save your money and time. In this technological era, call centers are the lifelines of the market. Call centers promote a particular brand, product or service through reaching the consumers living in different parts of the world. We discussed the different advantages of Customer Relationship Management (CRM) Software in this article. If you find this article informative, please feel free to give your precious views below in the comment box.